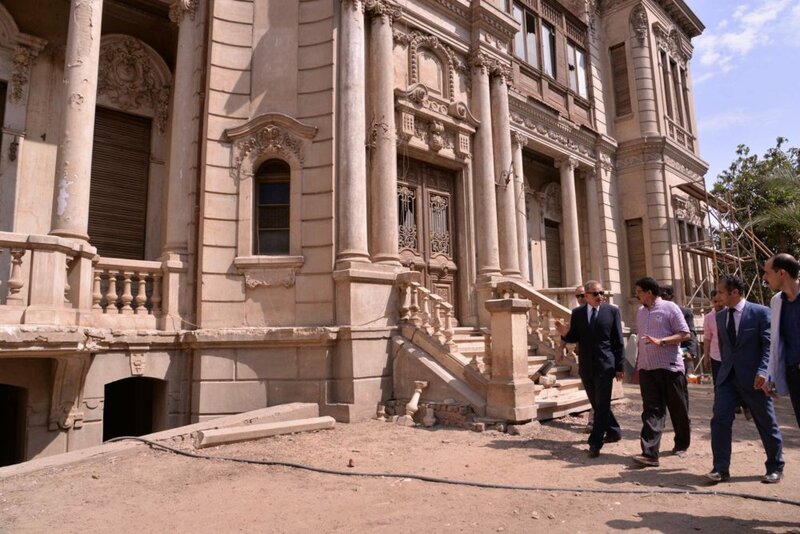 The Alexan Pasha Palace, built in 1910 in Assiut, is set to become Egypt’s newest national museum. Assiut, which lies some 350km south of Cairo, is the capital city of Egypt’s Nile Valley region that stretches southwards of Cairo to the country’s southern border with Sudan. 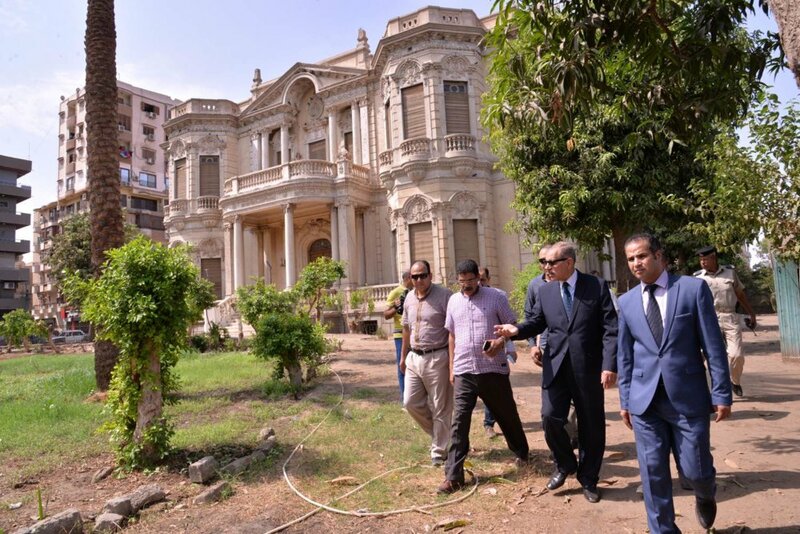 Assuit Governor, Gamal Nour al-Din, paid a recent visit to Alexan Pasha Palace, which is situated on the Nile bank east of Assiut, to follow up on the ongoing restoration and renovation works taking place in the palace and its extensive gardens. 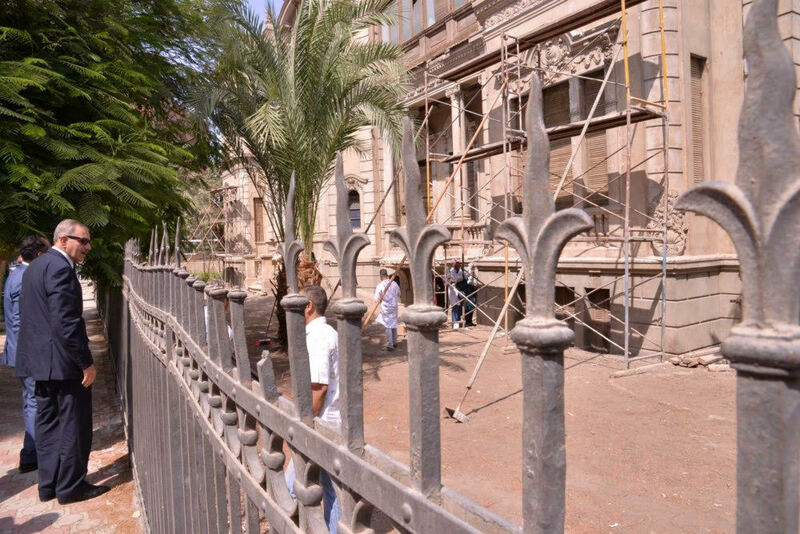 The restoration project is done by Assiut governorate in coordination with the Ministry of Antiquities and the School of Fine Arts and Faculty of Specific Education of Assiut University. 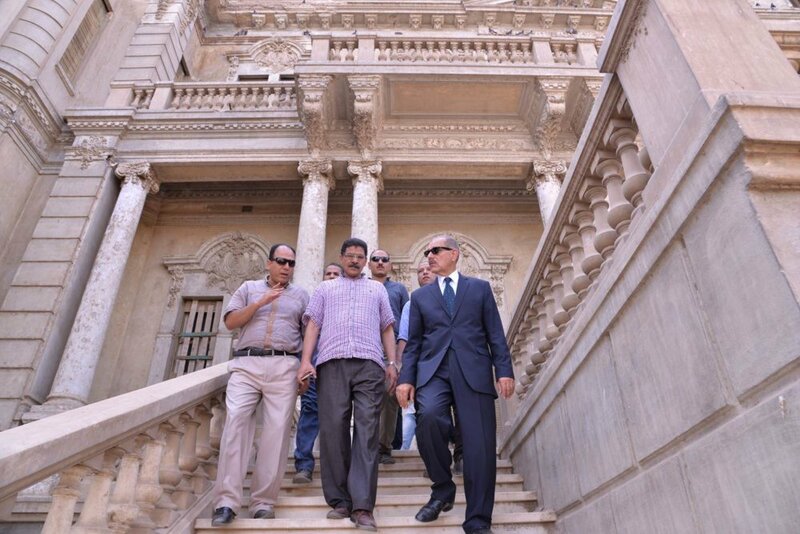 Deputy Governor Amr Abdel-Aal and Assiut Archaeology Director Ahmed Awad accompanied Governor Nour al-Din in his visit. 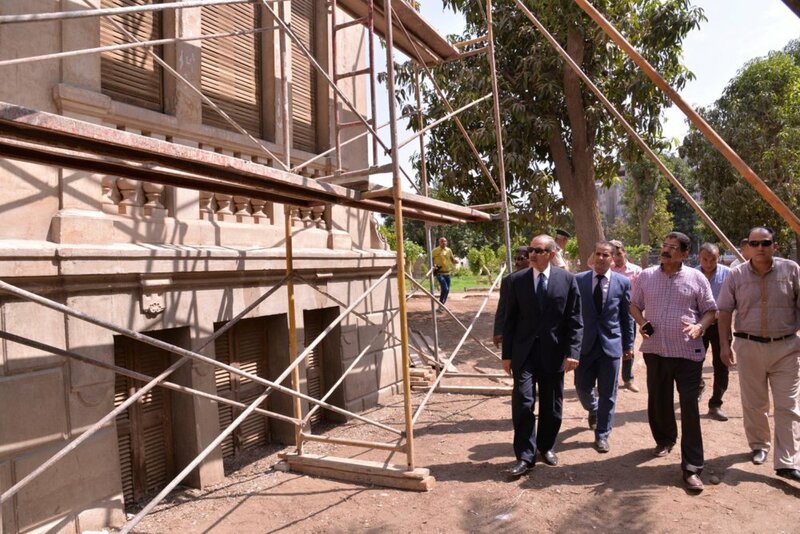 Governor Nour al-Din said that the palace and gardens, after renovation, project will offer Assiut residents a wonderful cultural and tourist attraction, and that the palace will be turned into a to a national museum that will house antiquities belonging to the Assiut region over various periods of Egypt’s history, the ancient Egyptian, Roman, Coptic, and Islamic. Despite its rich history, Assiut never had a museum of its own. The only ‘museum’ it ever had was a small hall at the Salam Secondary School which displayed a collection that had once belonged to an antiquities enthusiast and private collector who happened to own the school in the 19th century. In the 1950s, the owner offered his collection to the antiquities department. The school’s administrative board allocated the second floor of the library as temporary museum space for the collection until a special building was constructed to house it. The small hall displays more than 600 objects in 20 showcases, ranging from predynastic pottery to the late Mameluke era which ended in 1517. The objects include pottery and papyrus; scarabs and statues; cosmetics and coins; coloured engravings and fabrics; Stelae (engraved stone slabs); coffins; gilded mummy masks; a wooden sarcophagus covered with gold leaf patterns and inscribed with religious texts; and a mummy with a broke leg. There are also Islamic military equipment and soldiers’ uniforms. Alexan Pasha Palace boasts magnificent exterior and interior architecture, and includes a collection of paintings by European artists. It was designed and decorated by Italian, French, and British 19th-century architects and artists. It overlooks the Nile and is surrounded by a park that stretches over an area of one feddan; a feddan equals 4,200 square meters. The palace originally had three floors; the first two for the Alexan family and their guests, and the top floor for the servants. The first floor features reception, dining, and guest quarters, whereas the second housed bed and living quarters. 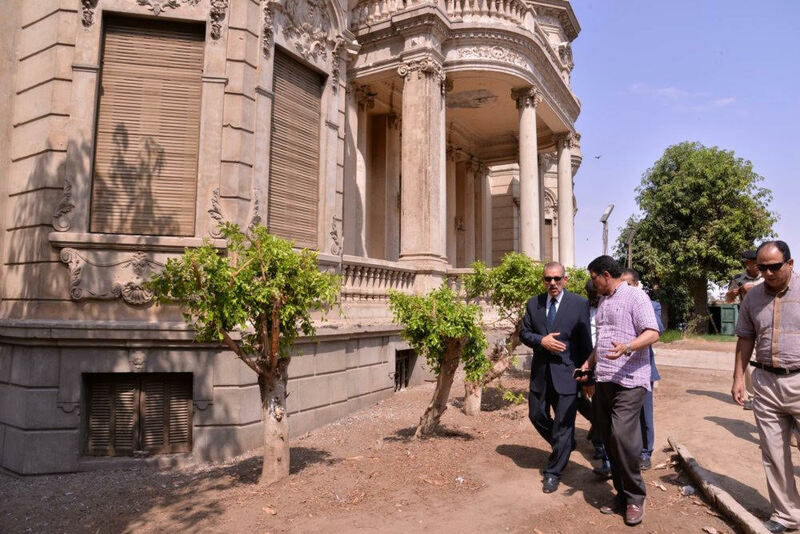 In 1995, owing to the exquisite and unique architectural features of the house, Egypt’s Ministry of Culture and the Supreme Council of Antiquities (SCA) put the palace on Egypt’s antiquities list.